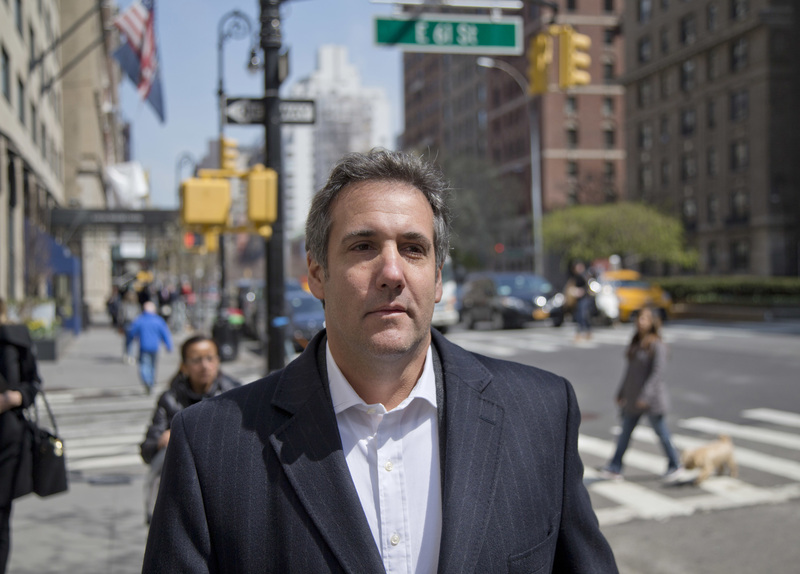 MANHATTAN (CN) – Hours after President Donald Trump’s embattled attorney Michael Cohen suggested he would cooperate with the government, a judge disclosed Monday that federal prosecutors now have more than 1.3 million of Cohen’s files. That number represents roughly a third of the more than 3.7 million files that the FBI seized from Cohen’s home, hotel and office in April, pursuant to a search warrant investigating possible fraud. Cohen, Trump and the Trump Organization responded to the raid by demanding a thorough review for attorney-client privilege. With their deadline to finish that scan coming up on Thursday, Cohen told ABC’s George Stephanopoulos that he would put “family and country first” before Trump, a remark widely interpreted as expressing openness to cooperating with prosecutors. “My wife, my daughter and my son have my first loyalty and always will,” Cohen told the network. Cohen has not yet been charged with a crime, and the full scope of his federal investigation is not yet known. As Cohen asserted privilege over only a tiny fraction over the first set of files his legal team reviewed, the government is expected to receive another large tranche of materials before midnight on Thursday. The Trump Organization is scanning 22,633 remaining files for privilege before that time. “Further, once the Trump Organization submits its designations, any remaining items that are not designated privileged, partially privileged or highly personal will be promptly released to the government,” Barbara Jones, an ex-federal judge serving as a special master for the review, wrote in a 2-page letter. For weeks, associates of Trump’s reported fixer have dropped hints in television interviews about a deal with the government. Today marked the first time that Cohen himself approached a broadcast journalist, former White House ethics czar Norm Eisen noted. Cohen’s warning to the White House falls as special counsel Robert Mueller racks up convictions of the president’s allies in his investigation of Russian meddling in the 2016 U.S. election. Five of the president’s allies copped guilty pleas, and 17 Russian individuals and companies have been indicted. Citing the ongoing investigation, Mueller’s team has twice now requested delays in the sentencing of Michael Flynn, the president’s former national-security adviser.